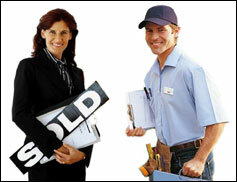 PRO-LAB� Professional Partners Program :: Environmental Home Inspectors for Real Estate Agents. PRO-LAB� is the largest full-service environmental testing laboratory in the world. We are also the leading manufacturer and distributor of the most complete line of home safety test kits. With the ever-growing awareness of indoor environmental hazards and the public's concern of the effects they can have on the home and the individuals that live in them, prospective home buyers have become increasingly more mindful about the indoor air and water quality of the homes they are considering purchasing, as well as the potential health risks that may be associated with the home's condition. The PRO-LAB� Professional PARTNERS Program is a comprehensive, nationwide network that provides realtors with the necessary tools to identify Certified Environmental Home Inspectors and Remediation Specialists around the country. -	In-house Customer Service Support Dept. � 2005 PRO-LAB� Professional PARTNERS Program. All rights reserved.